When undertaking a demolition, things get a lot more complicated when asbestos is involved. It’s the one thing you dread to come across in preparation for a demolition job, because of the extra cost and hassle. These are the 3 major facts you need to know before you even begin to go near an asbestos removal job. So where do you go from here? Allow us to go through the key things to consider when removing asbestos for demolitions. Most people wouldn’t know where or how to look for asbestos in a property. So, if your property was built or renovated before 1990, there’s a chance asbestos may be present, and an asbestos inspection is recommended to help you identify it. Here at 3D Demolition, we can make sure the premises is tented by an independent NATA-certified laboratory who can determined if asbestos is present before a demolition commences. Once asbestos has been found, it needs to be removed before demolition takes place. This is specifically outlined in the WHS regulations. The only way asbestos can remain during a demolition is if an emergency occurs. An emergency can include the building itself being structurally unsound or if a collapse of the structure is imminent. If the asbestos fails to be removed prior to demolition, evidence must be provided as to why the asbestos was not removed. Asbestos removal control plan – an asbestos removal control plan must be created by those who are licensed to remove the asbestos. WHS – The asbestos removal and demolition job must be notified to Workplace Health and Safety Queensland before work commences. Certified Professionals – Anyone undertaking the asbestos removal needs to be trained and certified. Protect the Workers – Personal protective equipment should be provided to workers including safety boots, boot covers, respiratory protective equipment and disposable coveralls. A risk assessment will determine the exact protective equipment needed. Secure the Site – The site must be secured with barricades and warning signs erected around the perimeter. The asbestos removal area should also include decontamination facilities for workers to use when leaving the site. Minimise asbestos fibres and dust in the air – This can be achieved with a wet spray where a thin layer of fine water is dispersed on the asbestos, leaving the surface area completely saturated. This suppresses asbestos fibres from being released. Wetting agents can also be added to the water to better suppress the particles. When using the wet spray method, water run-off must also be controlled. Soil Scraping and Excavation – When an asbestos structure is being demolished, soil scraping, and excavation must take place. This task must be undertaken under the immediate area of the asbestos affected structure. A surface soil depth of approximately 30-50 mm should be removed. Any soil containing asbestos should be wetted down and contained safely. Contain the Contaminated Soil – The affected soil must be contained between two layers of 200-micrometre polythene and disposed of in an approved landfill. The contained asbestos must also be labelled before being removed from the area. Monitoring the Air – During the removal of the asbestos and upon completion, it is mandatory to undertake air monitoring. An independent licensed asbestos assessor is required to undertake this task. As you can see, safely removing asbestos for demolition is no small feat. Lucky for you, we’re here to take care of it for you. Here at 3D Demolition, safety is our priority, and we know how to handle asbestos correctly. We’re certified experts in both asbestos removal and demolitions, so we can take care of both aspects for you. 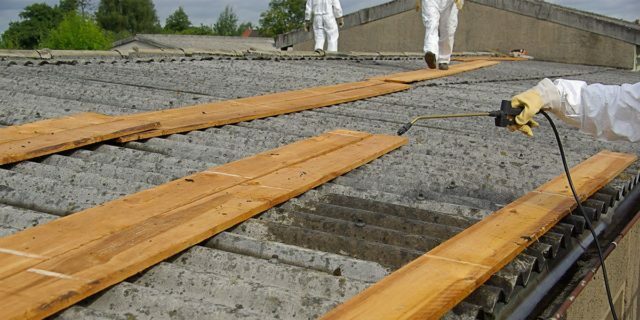 What to find out more about or asbestos removal and demolition services? Give us a call on 0401 314 356. Queensland Workplace Health and Safety Asbestos and Demolition page. Australian Government’s Asbestos Safety and Eradication Agency Website. Queensland Workplace Health and Safety Website. How to Safely Remove Asbestos Code of Practice from Safe Work Australia.